Can you make it within one day from Port Elizabeth to Mossel Bay? 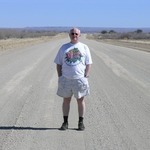 Hi, is that possible to start from Port Elizabeth, make a stop in Tsitsikamma incl. Canopy Tour, visit Monkeyland and to finish in Mosselbay within same day? This gonna be a self drive of people at their 60's. Thank you! The drive itself if doable within a day but with the stops you're planning it will be difficult. I'd advise driving in daylight only so it will depend what time of year you're going to be there. If you do attempt it, make sure you plan out your stay and don't stay longer than planned at any of the stops. It would be a shame to rush/miss Plettenberg Bay, Knysna and the forest. It's worthy of a couple days at least. As Australians would say, "It's a big ask". Yes, in theory, it's possible, but it depends on many factors, not least of which is the timing of your canopy tour from Stormsrivier. Remember that this is a detour off the main Garden Route between Port Elizabeth and Mossel Bay to start with, and then you'll need to add in a couple of hours for the Canopy Tour, and probably another couple of hours at Monkeyland. South Africans are early risers, so you could get an early start. But bear in mind that the days can be short - especially in winter - so your proposed itinerary will leave you running short on daylight. I would strongly advise not driving after dark (because of the risk of hitting livestock/wildlife on the road, as well as potential difficulty in finding your accommodation in the dark), so try to plan your arrival an hour before dark to give yourselves an error for margin. If it were me, I'd look at overnighting somewhere closer to the start of your tour (Nature's Valley, for example).